Have simple bracelet and earring sets made in any color, style, and shape! 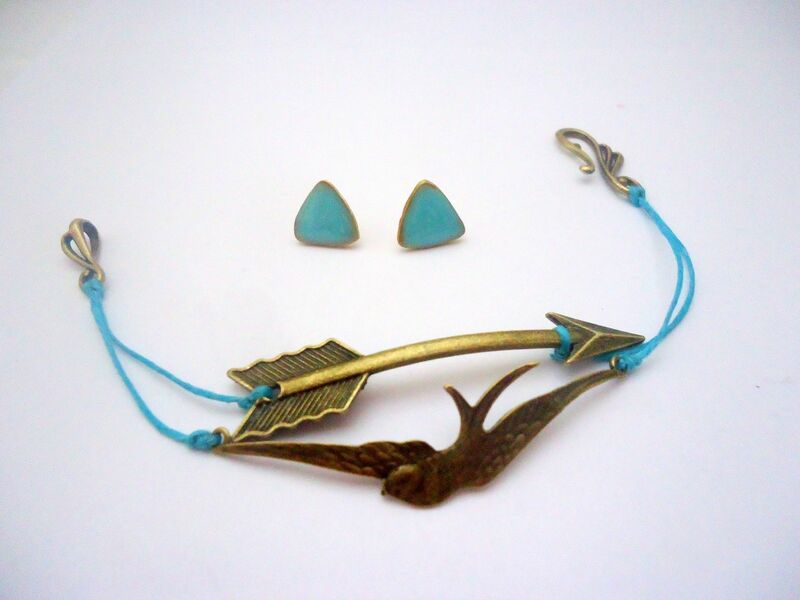 This set was created for a client who wanted Tiffany Blue jewelry and loved the arrow bracelets that are seen everywhere right now! 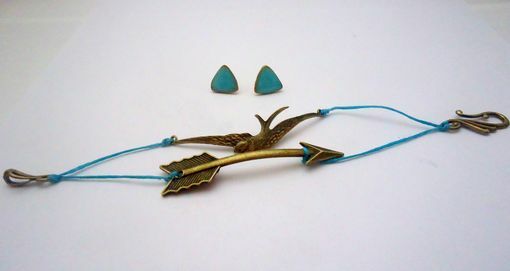 She also wanted a pair of matching earrings. 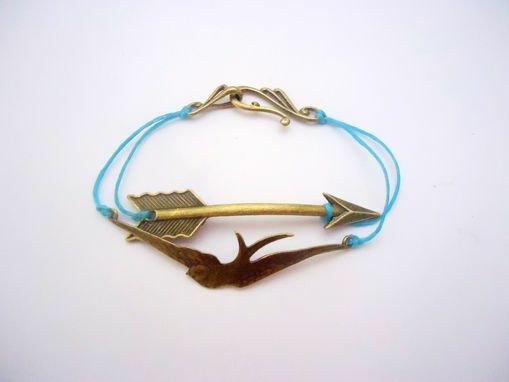 I made the bracelet from premade arrow and sparrow charms, tied onto a hook clasp with nylon cord. 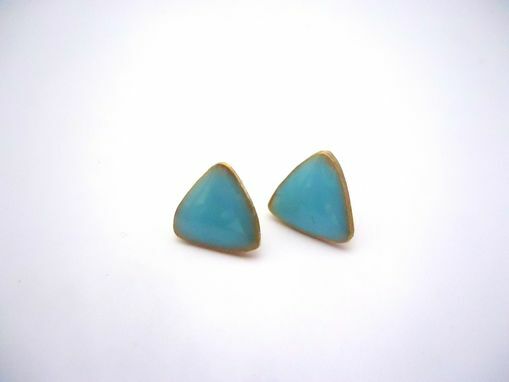 The earrings I cut and enameled myself.